The Normanhurst consists of a Residential Hotel, Nursing Home & EMI Care Home (all Registered with the CQC), catering for the active retired, elderly frail, post operative or mentally frail. Please have a look at the information on the individual sections of the Normanhurst to get a better idea of our service. There are many services that we offer, as part of daily life, that you would come to expect. Many of these services are free, but those that aren't are charged at nominal rates. Food - All food is prepared meticulously in our kitchens by our four trained chefs and dedicated kitchen staff. For more information, and example menus, please click here. Shop - There is a shop open from 8.00am until 8.00pm selling sweets, soft drinks, biscuits, wine, beer, small pharmaceutical items, stationery and gifts. 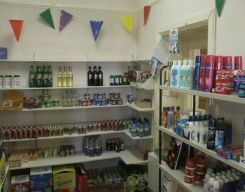 Shopping - For those who require items that are not available in our shop and don't feel quite up to going into town, one of our staff shops for the residents on a daily basis (Monday to Friday, weather permitting). Personal - Two local chemists deliver to the premises daily. In addition, a visit from the dentist, optician or chiropodist can easily be arranged. 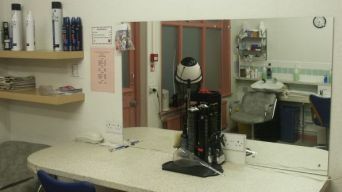 Hairdressing - We have a fully equipped hairdressing salon on site, to remove the hassle from having your hair done and make it an easy and enjoyable experience. Laundry - We launder resident's personal items using our own laundry facilities free of charge, providing they are labelled. Dry cleaning can be arranged through reception at normal rates. Accounts - Our accounts department will be more than happy to organise your banking requirements or give advice on local authority and pension claims. Mail - Residents are welcome to use our Fax and E-Mail facilities, free of charge for incoming with a small charge for outgoing. At the Normanhurst your needs always come first. We like to think that we give our residents that 'little bit extra' and pride ourselves on our attention to detail. The staff actively encourage residents to remain independent whenever possible. We have an activities organiser, who arranges seasonal activities as well as other activities as diverse as knitting & sewing, Bingo, keep-fit and sing-a-longs. A member of staff also organises a fortnightly organ recital. Our local library visits each fortnight and a clothing company visits regularly. We are so proud of our kitchens that we are willing to show you around at any time outside meal times. For more information, and example menus, please click here.